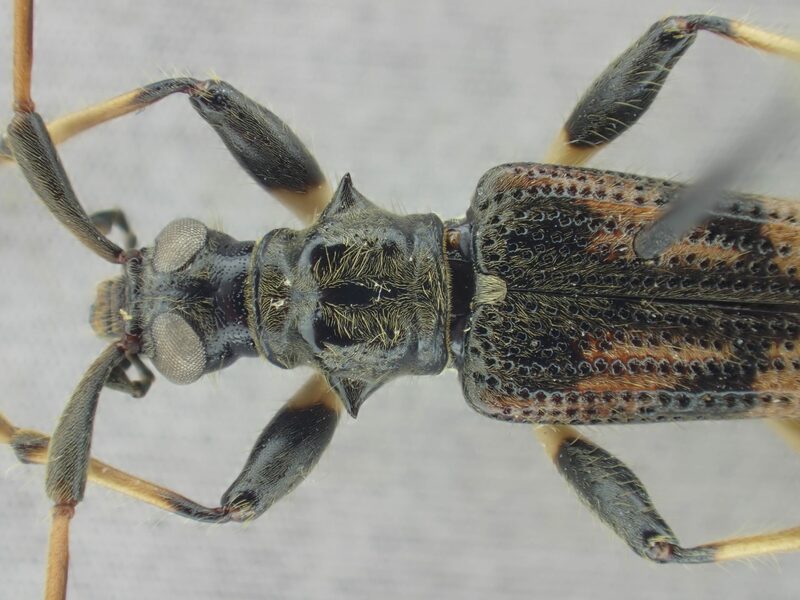 Cereal leaf beetles, a genus of leaf beetles (Coleoptera: Chrysomelidae – Oulema spp.) are known pest species of cereals in the Northern hemisphere. Due to very small differences in morphology, accurate identification of the species within this genus is still a challenge. Moreover, since these species exhibit a different phenology and thus the date of control practices is dependent on the dominant species, it is important to know what species make up most of the population. By this, more selective control strategies can be developed in the future without using too much pesticides. 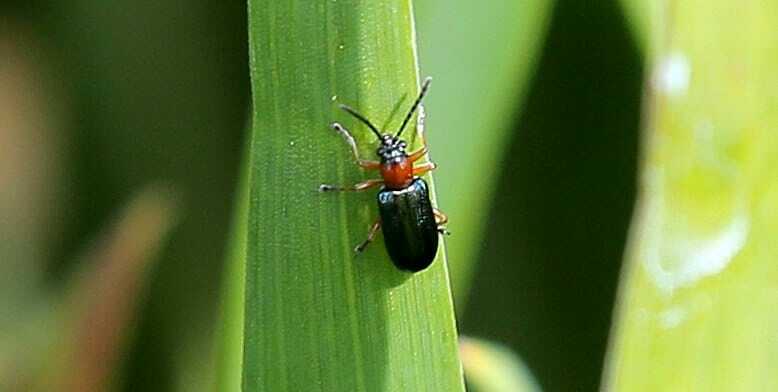 BINCO collaborated with a study on the distribution and species diversity of cereal leaf beetles in Flanders. The species diversity was monitored in several cereal fields during three executive years. 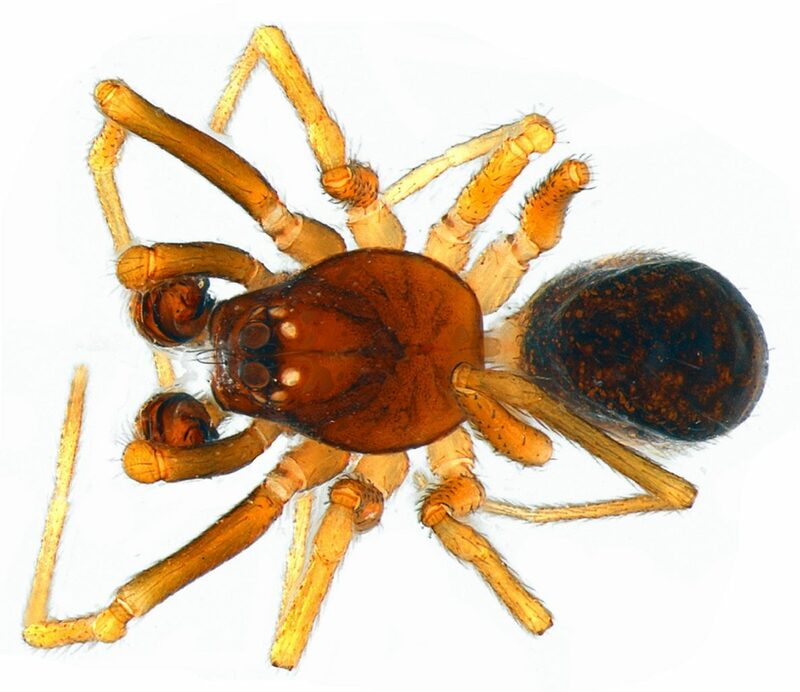 We found three species of Oulema which were frequently present; O. melanopus, O. duftschmidi and O. obscura. By the use of discriminant analysis, we found that these species can be identified quite reliably by body shape (like length and width of elytra), but checking the identifications by use of genital structures is still advisable. Population densities were very variable within and between years, which could hamper selective control strategies. This would require an adequately big and spatially and temporally spread sampling campaign. The results of this project were published in the scientific journal Environmental Entomology and can be found here. During the second half of 2014, we studied the effect of the intensification of natural forest for coffee production on large mammal communities using camera traps in Ethiopia. Now the results are out and published in the conservation journal Oryx (see below). The high demand for coffee internationally results in an ongoing intensification of natural forests by clearing understory and removing trees resulting in few undisturbed forest left in Ethiopia. Although overall species diversity remained constant, large and medium sized carnivores are the first to disappear and diurnal activity patterns are shifted to nocturnal. The increased accessibility of coffee forests decreases the diurnal activity of large mammals and specifically affects the top predators in the ecosystem. This is the first study in Africa that studied large mammals in coffee forest. Although Ethiopia is known for its high number of both animal and plant species that do not live anywhere else in the world, there is a concerning lack of conservation activities to preserve the biodiversity locally. Moreover, the extent of agricultural land is rapidly increasing at the expense of natural forest, resulting in a significant loss in biodiversity. Coffee forest, however, has since long been proposed as a more sustainable agricultural system, conserving biodiversity while providing income for local communities. We found a mammal diversity in coffee forest comparable to that of mature natural forest. This study therefore indicates the importance of coffee forest in Ethiopia for mammal conservation, where coffee has been cultivated as a shade crop for more than 1,000 years. However, this study also showed that large carnivores such as leopard and African civet had a tendency towards natural forest, while crested porcupine and Ethiopian hare were typically associated with coffee forest. The latter two species are not commonly associated with forest, so their presence in coffee forest may be related to increased forest accessibility and a well-developed herb layer in coffee forest compared to natural forest. Moreover, mammal activity in natural forest peaked during daytime whereas the activity pattern in coffee forest was predominantly crepuscular and nocturnal. This may be a direct adaptation to frequent human disturbance. Both forest buffalo and leopard, for example, were only observed at night in coffee forest. This study therefore also shows that, despite the high mammal diversity in coffee forest, it is important to recognise it cannot fully replace natural forest as a habitat for large mammals. The complete loss of natural forest in combination with increased human disturbances may result in the local extinction of top predators such as leopard, which can subsequently trigger negative effects on other forest components such as decreased forest restoration due to higher pressure of herbivores. Therefore, a balanced landscape mosaic of coffee and natural forest may be a valuable conservation option, contributing to local economy while safeguarding the diversity of large mammals. We compiled a video showcasing a handful of the inhabitants of the study area. If you would like to read more about this study, the paper ‘From natural forest to coffee agroforest: implications for large mammal communities in the Ethiopian highlands’ is now freely available until 31/12/2018 in Oryx—The International Journal of Conservation. The study was funded by the Rufford Foundation and Idea Wild. 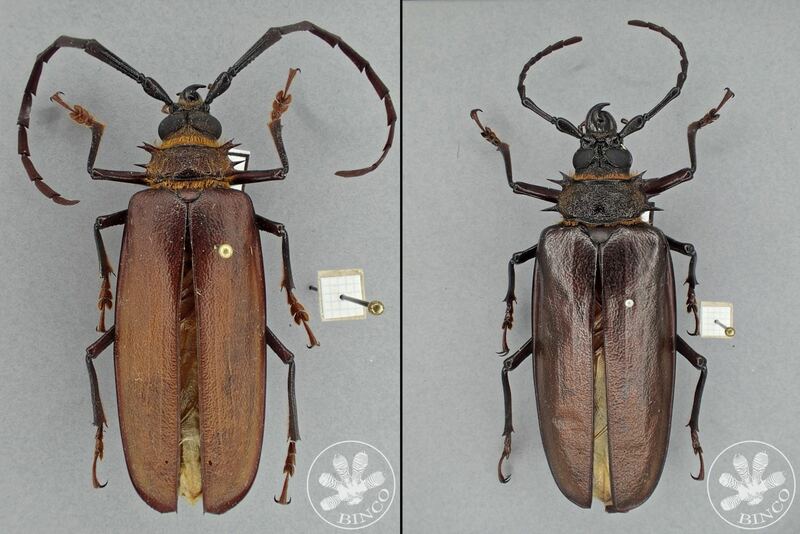 In the scope of a digitization project at the Royal Belgian Institute of Natural Sciences, we developed a new method to facilitate digitization of museum specimens. The new method had to be relatively cheap and fast. These requirements were met by use of a compact camera with focus stacking functionality which allows the camera to take multiple images at different focus depths. Afterwards, these sets of images are combined to form one picture in which the entire specimen is in focus. The development of cheap and fast methods is important because most museums face a shortage of personnel and infrastructure to keep up with digitizing their ever-growing collections. Our method is currently being used in project Chrysomel’ID with the valuable help of several volunteers. The results of our research have been published in the open access journal ZooKeys. 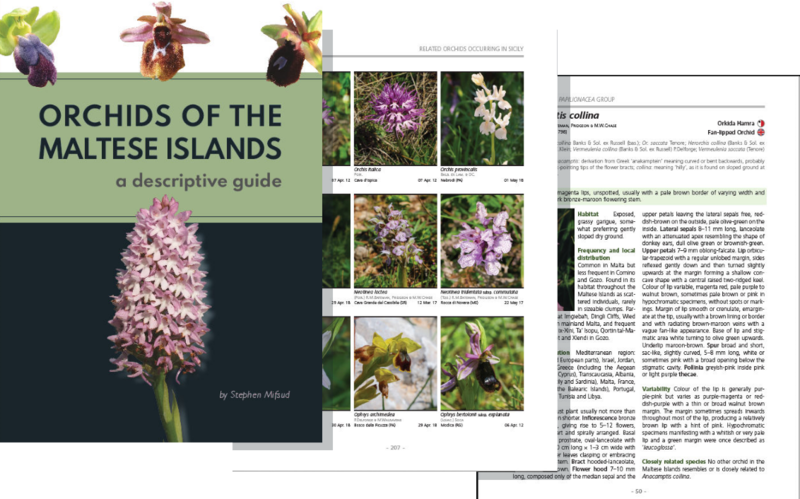 The pdf file can be found on our publication page. The BINCO team, supported by Birdlife international and CEPF (Critical Ecosystem Partnership fund), is again active in Ethiopia for a new project. Our work is based in Masha, a village within the Sheka UNESCO biosphere reserve, surrounded by large tracts of forest in the Southwest of Ethiopia. In a welcoming atmosphere, MELCA, an Ethiopian ngo, already selected a potential group of 5 locally embedded trainees, and it was nice to see that they all differed in background and age. These trainees have now successfully followed an intensive three weeks desk training on sustainable forest management, vertebrate biodiversity and biodiversity monitoring, resulting in some interesting presentations, workshops and group discussions. The first days of practical training have, obviously, resulted in some slapstick moments (e.g. binoculars that were used upside down), but in general it was a very interesting experience for all of us. Now we plan to continue these practical sessions and, more and more, increase the experience of the trainees to build up to standardized biodiversity monitoring and forest protection. The area is a promising biodiversity hotspot indeed, and the trainees were not at all surprised to find two endemic and threatened species of Banana frog (one Vulnerable and one Endangered on the IUCN red list) sheltering in the same Banana plant at a small river bed. Only later we found out that it is not that exceptional here, to find multiple threatened species on the same location, when we discovered a mule carcass surrounded by four species of vulture (all of them Critically Endangered). We are looking forward to further exploring the forest and hope that our trainees will find more interesting discoveries in the near future.